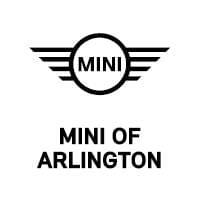 If you’re looking for a dependable used car dealer near Arlington, Fort Worth, Irving, or Dallas, the team at MINI of Arlington is happy to help. From our large inventory to our knowledgeable and friendly staff members, we provide everything you need for an easy and streamlined car buying experience. Keep reading to learn about our used car dealer near you, then contact us when you’re ready to find your ideal ride. Whether you’re wanting a used or Certified Pre-Owned sedan, SUV, or other type of vehicle, you’re sure to find it at our used car dealership. That’s because we have a wide range of automobiles, in a variety of colors, models, and trim levels. Plus, each car has an impressive array of features, making it easy to find a ride that fits your lifestyle. Our entire pre-owned inventory can be found online, for your convenience. Either browse through each listing individually or use the search filters to help narrow down your options. With each entry, you’ll get to see pictures, specs, and available features. However, while reading about a car is great, you’ll want to see it in person to help determine if it’s right for you. Simply stop by our dealership, test drive a couple models, and see which one will become your next new ride! 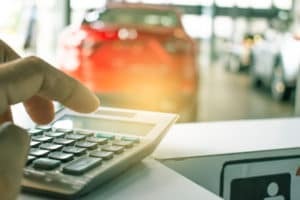 While picking out a used car is fun, buying one can be easy when you work with the experts at our finance center. We’ll meet with you one-on-one to go over your budget and help create a payment plan that you’re happy with. Then, we’ll reach out to local banks and lenders, making sure to get you a loan with terms that work for you. Not only will you be guided by a knowledgeable team, but you’ll also have finance tools that you can utilize—even from home. One of them is our short and secure finance application. By filling this form out to get pre-approved, you can help streamline the entire buying process. As soon as we receive your information, we can reach out to discuss your finance options and get the ball rolling. Not only can we assist in the financing activity, but we can also help keep your used MINI Cooper in tip-top shape. Whether you need an oil change, brake repair, or other type of automotive work, we can take care of it in our state-of-the-art service center. It’s here that you’ll find a team of highly trained and certified technicians. Because they have years of experience working on all types of cars, you can rest assured that yours will stay in peak performance for a long time. While your vehicle is being worked on, you’re invited to relax in our comfortable lounge. Sip on a cup of freshly brewed coffee and get some work done using our free high-speed Wi-Fi®. We’ll then let you know the moment your vehicle is ready to go! No matter what stage of the car ownership journey you’re on, our team at MINI of Arlington is here to be of assistance. To get started, stop by our used car dealership near Arlington, Fort Worth, Irving, and Dallas. We look forward to working with you!